Continuing my quest to show you delicious and nutritious low sugar options to satisfy that sweet tooth, I’ve come up with this beauty. Truly, I’m not really certain how these ideas pop in my head. Usually I take an inventory of my pantry, decide what options I’ve been brainstorming don’t require a trip to the store and get to cookin’! So, true to form on Friday night, this baby was born! Maple Pistachio Cookie Cake is so simple it should be a sin. Really, I mean since my Cuisinart replacement blade for my food processor is still DELAYED, I’ve had to be quite creative how I can create these gems without a food processor. Also, I don’t like dishes. I’ve found lately I spend far to many hours cleaning because I tend to dirty every dish when I bake. 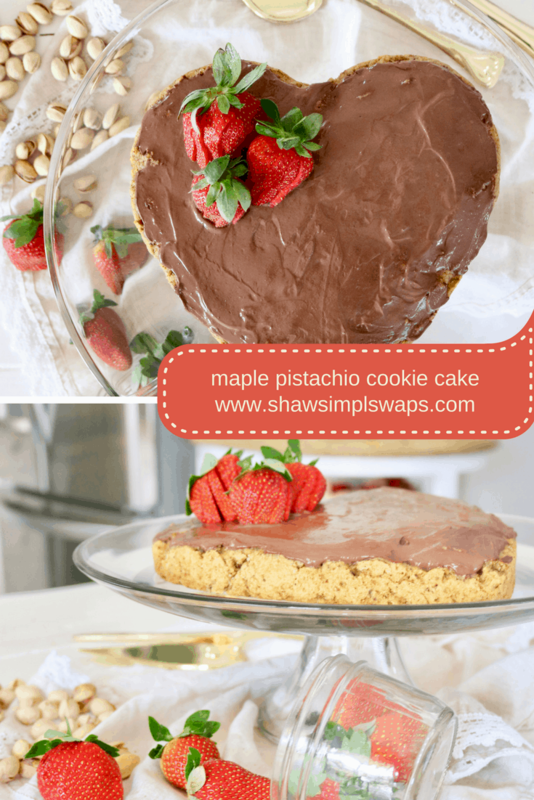 This Maple Pistachio Cookie Cake was made in my Ninja, a one stop shop and can easily be throw in the dishwasher for an easy peasy clean up. Pistachios ground into a fine flour mixed with my staple white whole wheat flour makes this beauty light, nutty and texture-ific! Now, who’s ready to dive into this Maple Pistachio Cookie Cake? I’ll grab an extra fork or two! Sweet, salty and delicious! Maple Pistachio Cookie Cake is the perfect addition to your meal plan! To a food processor or blender, add pistachios and pulse until flour like consistency is achieved (usually 20 to 30 seconds). Add in the flour, baking powder, soda and salt. Pulse again for 30 seconds. Add in the milk, egg, melted butter, vanilla and maple syrup. Process until combined, usually 30 to 45 seconds. To an 8 x 8-inch pan sprayed with cooking spray, pour batter. Evenly spread out and bake for 45 minutes, or until toothpick comes out clean when inserted in the center. 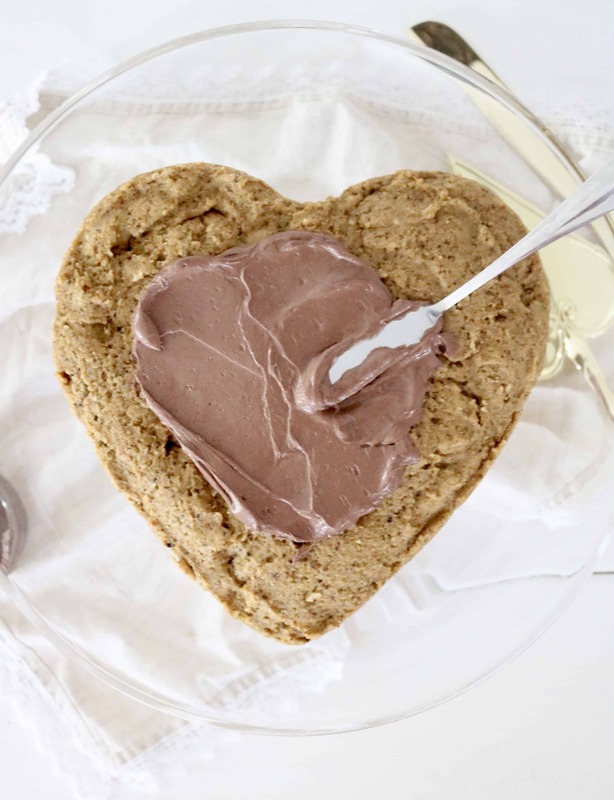 To make frosting, add 1 teaspoon cocoa powder to 3/4 cup plain Greek yogurt with 1 teaspoon maple syrup. Once cake has cooled, frost! Store in an airtight container in the refrigerator for up to 5 days for best quality. If batter appears to thick to stir easily, add an extra 1/4 cup of milk. Tell me, what would you drink with this Maple Pistachio Cookie Cake? A glass of milk? Coffee? Tea? 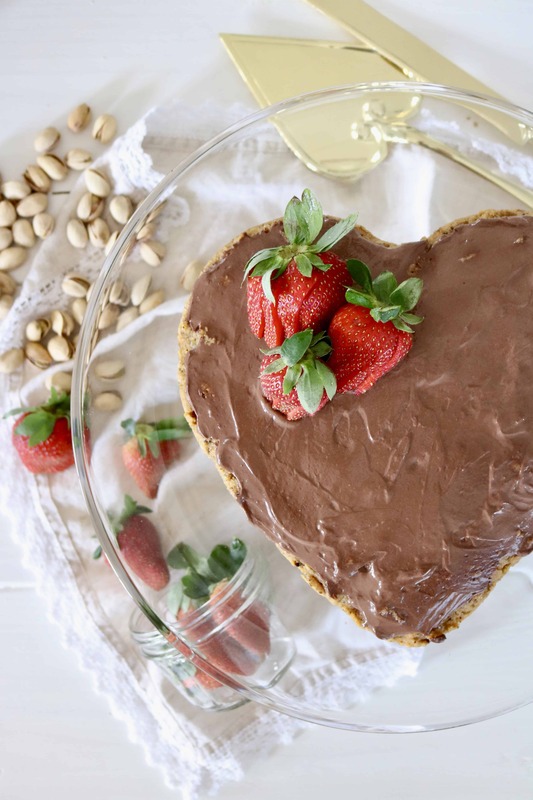 « Added Sugar In The News + 40 Low Sugar Recipes You Need To Make…NOW! LOL-When I first read the title of your post, I thought it said MALE Pistachio Cookie Cake!!! Ha 🙂 This looks so yummy, and I love your creamy, dreamy yogurt frosting on top too! I’m thinking a cup of coffee would go well with this yummy cake, although truth be told, it’s been a crazy day, and I’m enjoying a glass of vino right now 🙂 Cheers!!! Okay, by far, this made me LOL! I love this MALE cake too :)! I hope you have a glass too! Friday night bakers unite! 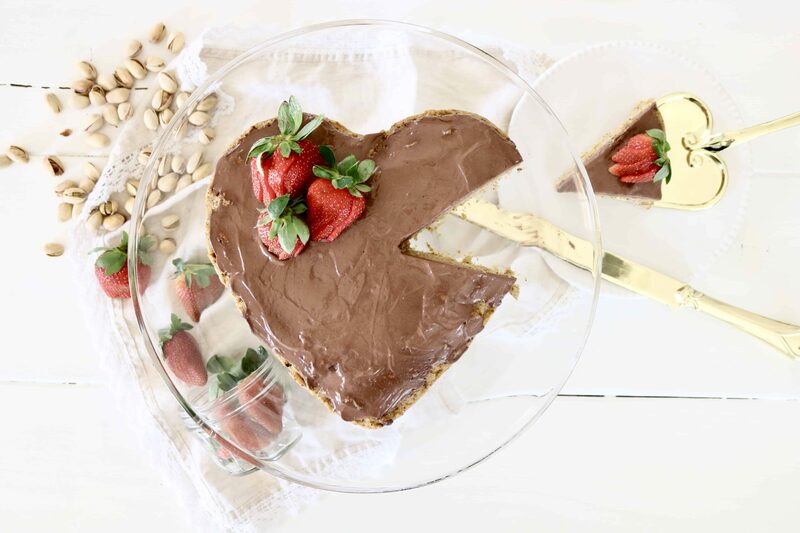 I’ll be baking this tomorrow night for my sweeties…won’t they be surprised at breakfast on Saturday?! Woohoo! I hope you do, let me know what you think! Ah thanks Kelly! 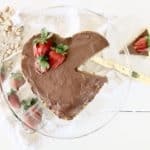 I totally agree- anything heart shaped is AWESOME! Oh goodness, this sounds so fabulous!!! You always have the most creative recipes! This looks SO good!!! I’m so sad I’m allergic to nuts! Oh girl I am SO sad for you too, but, now I know why you use sunbutter! So cute! I love the heart-shaped pan! And I hear you on those dishes. No fun! LOL We can make Mr CEO do them when your in town! Phew so glad I’m in such good company!